No way. Hang up the phone Ireland, block him from texting you. GB wouldn't cut JJ because he's a valuable veteran with experience and production on the field. Only way Miami end up with JJ is through a trade. Told you guys. 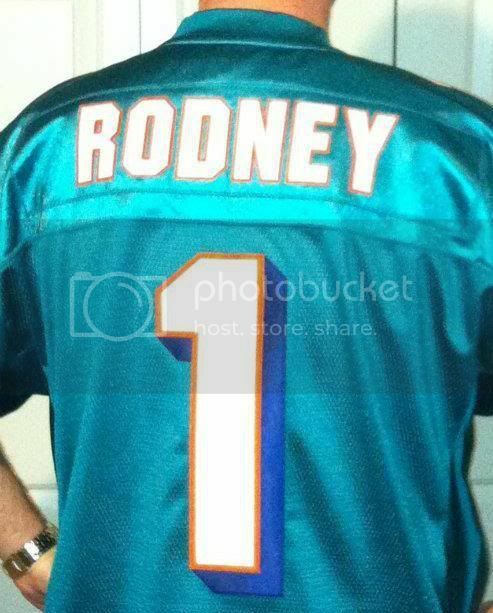 They are over-pricing Jones because they know the Dolphins are desperate. That's life in the NFL when you're the have-not. I'd rather they trade for Marvin Jones or someone like that. Get someone young. James Jones is young. The problem right now is we have to many "marvin jones" on this team already. I think they still think Cunningham and Matthews will be good, they are just still too young and not ready. This team needs veteran receivers right now. You guys that think Jones is a No. 3 receiver on this team are delusional. James Jones is immediately the No. 1 guy on this team and it's not even close. And while I don't agree with the Packers' second round assessment of Jones, I would have no problem trading a fourth round pick for him. No problem at all. James Jones is 28. Two yrs from being on the wrong side of 30. As with Tanny. Play them & let the learn on the field, its not like they will win with Jones here anyway. Cunningham has been cut. ESPN's John Clayton suggests that the Dolphins could be interested in trading for Packers WR James Jones. Clayton is just connecting the dots here, not reporting. The Dolphins are stockpiling draft picks, are desperate for wideout help and the talented Jones is buried on the Packers' depth chart. The Dolphins' coaching staff also knows Jones well after head man Joe Philbin came over from Green Bay. If a trade did go down, he'd quickly make his way to the top of the depth chart. NFL is full of 36 yr old Wr? NFL wise once a WR passes 30, then his legs can go at any point. Someone should have told Jerry Rice. In NFL world, its knocking on the door for certain position that depend on legs. You were also laughing on my Long substandard play comment. No reply after quoting Long. One would think you would just walk away. Can, not will. We all know Rice had one of the toughest workout routines. Also that is one in how many over 30 WR? Miami will be bad with him, so not having him will mean thing will not change. Not sure why everyone is so concerned. He is a FA after the year & has been injured the past couple of Yrs. Packers reportedly want a 2nd rounder. Yes, I did. For the 50 times. ( Are you that dense ) it was a tongue in cheek comment. Its called joking. Yes, I felt Pouncey was being overated because of his brother. Yes, mocking the comment that was said that about Davis being traded. Sheeesh. You are dense. Lets see how he plays in reg games before laughing & considering how poorly the O has showed I still believe sitting him would be best. A joke? Really...You also wouldn't have taken him until the 2nd round..Another joke. Yes, I would not have. For the money thought he came with far to many questions. Its an opinion. Many experts shared it & many others did not. If 5 yrs in he is still playing great, then I would be wrong. The NFL is full of rookies that flame out quickly. So I hold judgement more than one year. But it was a joke! The TE was a joke. The 2nd Rd was not. You call that slapping around. You are only coming off as a desperate poster trying to play big boy. Besides didn't you just tell me I was not worth your time. Seems to me I'm all you think about. someone who could be your teams immediate #1 wr is worth more than a 4th round pick. we got a 2nd round pick for v davis. essentially, giving up a 2nd round pick for james jones would be like trading v davis for james jones. would that have been a good trade? someone who was #3 on the DB depth chart, for someone who could potentially be #1 or #2 on your WR depth chart? Dolphins should have pulled the trigger and given GB the 2nd round pick they were asking. I was a fan of the idea of getting Jones from the get go. Now the guy is having a great season. While it's impossible to project what he would have done with the Dolphins, it's very clear that the man is a good receiver and would have given us an instant upgrade outside the hashmarks. I was against it & still am. I stick with track record & one great season catching TD passes from Rodgers does not change the previous 5 yrs of work..
51 catches for 622 Yds. His worst YPC in his career at 12.2. The guy is getting the redzone looks & making the catch, so I give him credit for that, but that is it. The man has been a quality #2/#3 receiver for Rodgers the past several years. He would have been an instant upgrade. He was worth a pick in my opinion. Touchdowns have been pretty hard to come by from receivers this year, mainly due to a lack of playmakers in the redzone, so in that regard Jones would have given us a huge upgrade. Jones would have been a good fit, the two sides just weren't able to come together and agree on the right price. I applaud Ireland for not overpaying for the guy, but at the same time perhaps giving up a 2nd and overpaying a little would have been the right move. 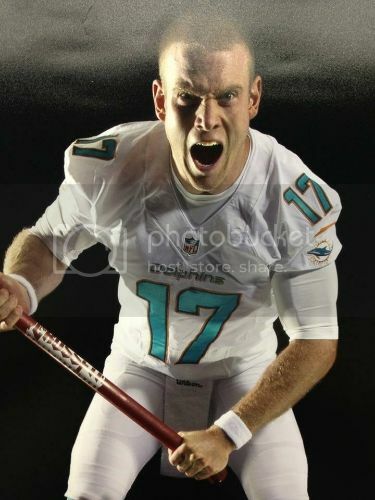 Oh well, we can draft a couple of stud receivers for Tannehill in the draft. Yes, a pick. Not a 2nd. He has been a drop pass top of the league WR. Probably so, but only helps if one is thinking short term..
Only if Miami is thinking 2012. What I'm hoping for. Two young guys to grow with Tanny. Like I said back when we were actually in trade talks (assuming the reports were accurate). Jones was worth going after because he would have helped fill the void left by Marshall in this bridge (rookie) season. He would have been a guy who would have been our #1 this year, then when we were able to draft a stud wideout next year (2013), he would have slid into the #2 spot. I'm pretty sure Ireland was talking with Philbin and Sherman when they were looking at adding Jones, and I'm sure our offers reflected what they thought he was worth, similar to what happened with Flynn. So while I would have liked to see Jones in a Dolphins uniform, I'm not totally ticked off we didn't go after him too hard. I definitely agree with you in one regard, in that I don't think we're necessarily going to be bad off drafting a couple more young receivers that can grow with Tannehill. I actually like that move as well. I really like Justin Hunter, Terrance Williams, and Ryan Swope. Hell, in the right scenario I'd love to see us draft all three guys (Hunter 1st, Williams 2nd, Swope 4th). Miami would have been trading a 2nd Rder for a Wr with drop history & only 2 yrs left on his deal. Not worth it IMO. Believe Hunter to have CJ type talent. He is not close to him coming into the NFL, but he is loaded with special talent. Williams looks good also. Swoop has been productive, but I'm going have to learn more about him. James Jones is a proven and known commodity to our staff. That is why I was behind us going after him. We would not have been in talks with the Packers had our staff not had a serious desire to get this guy. Philbin and Sherman knew his value and what he was capable of, that is why we approached the Packers. It's not like we were sifting through the Packers garbage receivers, there is a reason the Packers wanted a high pick for him. He's a solid receiver in the prime of his career and he's currently under a very modest contract considering his production this year. Did he have a history of drops, yes, but the word out of Packers camp was he was looking very much like a improved player and was the receiver who showed the most improvement this last offseason. The guy is a hard worker who has improved his game and is now reaping the rewards. Hunter is a guy I'd love to see us get. He's big, rangy, and has good top end speed. He's make a great big. I've heard the comparisons to A.J. Green as well. When you hear things like that it makes your ears perk up. Having an elite target like that for Tannehill would really help the offense. Williams also has good size and top end speed. He reminds me a lot of Wright from last years draft, only better. Swope, he's a guy Tannehill is very familiar with from their days at A&M and he has been very productive even without Tannehill around this season. I've heard Jordy Nelson comprisons with him. I like all three guys, I'm just hoping we land one of them, but I'd be thrilled if we were able to get two of them. The guy is catching Tds in the Packers O, this year. Outside that, he is not performing special. 5 Yrs of drops. I believe a player is who is his. This is the same mistake every other Miami staff has made. I hope they stay away from this. The dude is on my fantasy team and he is the most inconsistant player on my team. One week it's 3 tds and the next week it's nothing, not even a yard. That is in the Packers O. Jones is having a great season with TD catches, but again. He has been avg in every other department. Would he have helped Miami's O? Sure, but so would Danrio Alexander who could have been had for the league min., but Miami went after WR like Naane, Gaffney, Armstrong & now Binns. I'm glad they did not trade a 2nd or 3rd for Jones. He is not worth it IMO.